Stir together in small pot and warm until ingredients are well mixed.We eat this over sticky rice but the recipe can also be used for chicken satay.My family absolutely loves this. My dear friend Laura gave me the recipe and an authentic Asian Hat looking thing to cook the rice in. I never got the hang of the hat but love love love my rice cooker. I have tried bottled peanut sauce but it doesn't come close to this yumminess. Linked to: Kitchen Stewardship's Octoberfest and Fight Back Friday's at Food Renegade. thanks - it really is. So many unfamiliar ingredients for me - what a challenge! 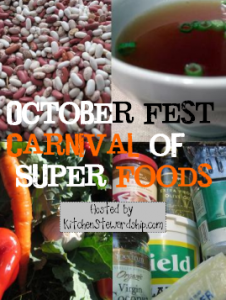 Thank you so much for joining the October Fest Carnival of Super Foods! 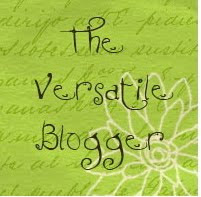 This week is the last week, and the theme is Healthy Fats. See you then! I have kept it in the refrigerator for three weeks, I imagine it would last even longer. Hope that helps. This means that you actually burn fat by consuming Coconut Fats (in addition to coconut milk, coconut cream and coconut oil).